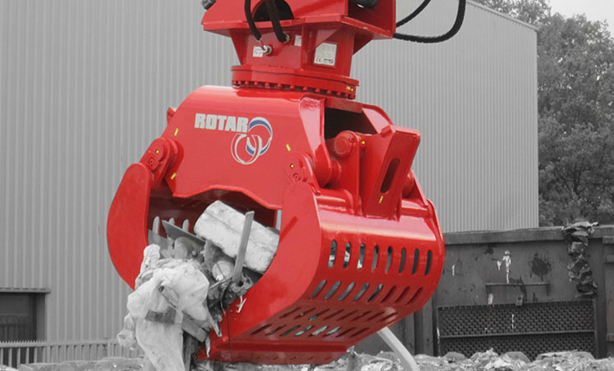 The Rotar Sorting / Demolition Grab is fitted with a strong rotating headpiece and an over-dimensioned, double-rowed slewing ring. 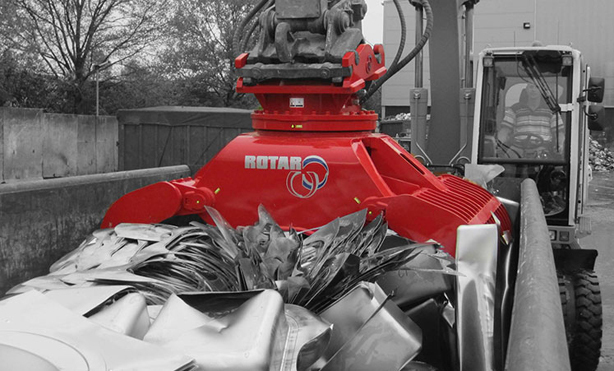 The hydraulic engines in the headpiece create a high torque, allowing the sorting/ demolition grab to be positioned in any desired way. 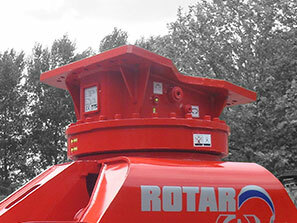 The hydraulic cylinders of the Rotar RG series have all been fitted with a load holding valve which secures the load if the oil pressure is cut off. 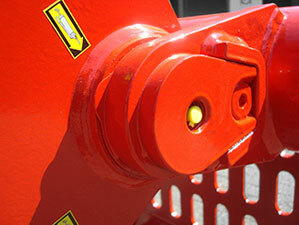 The cylinder furthermore has an extra-long stroke, meaning that the sorting / demolition grab’s teeth always perfectly align with each other, even if the cutting edges are worn. 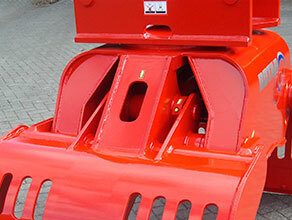 The RG series’ wear-resistant teeth have been fashioned from HARDOX steel and fitted with easily replaceable cutting edges. The teeth have been mounted in the extra wide bearing bushes of the double-walled grab trunnion with hardened, over-dimensioned pins. The extra wide bearing bushes decrease the overall tension in the construction, thereby increasing the sorting / demolition grab’s longevity.